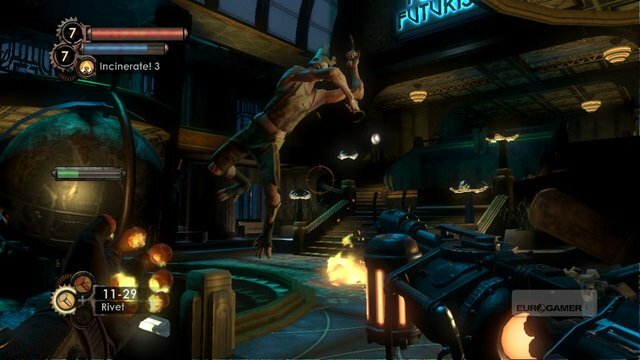 Eurogamer have posted up some new screenshots of Bioshock 2 and I have to say that the more I see about this game the more disinterested I become. The new screens are possibly looking worse than the original Bioshocks and added to that the new information we are hearing about the game just makes it sound a little sad. I was hugely excited about this game when it was first announced and it has become quite an experience watching that excitement drain away and be replaced with the dreaded fear that 2K are just cashing in on an excellent title. Hopefully I am wrong but take a look at the screenshots through the jump and judge for yourself.